Where to Play Blackjack Surrender? Learn to play Blackjack Surrender and make a killing at Blackjack! 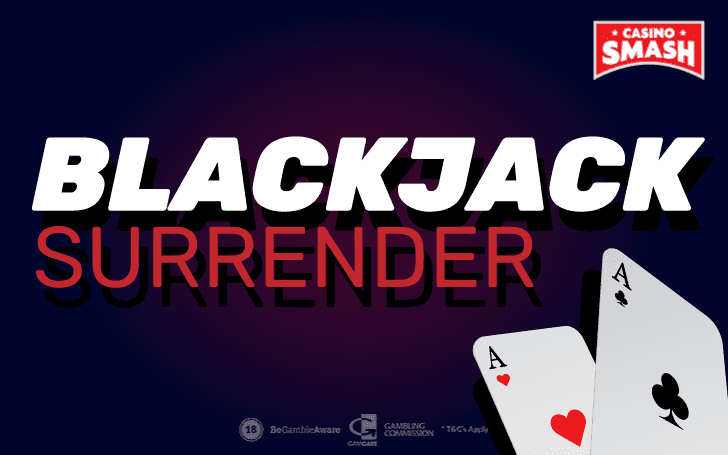 Are you ready to play Blackjack Surrender online? This is one of the best and most underrated Blackjack variants out there. And that doesn't make sense - because Blackjack Surrender reduces the house edge and increases your chances of winning. If you’re new to Blackjack, make sure to read about the Blackjack rules and the before we go deep into the Surrender Blackjack. If you asked a group of people what is the best Casino game to play to win, nine out of 10 will tell you it’s Blackjack. And the remaining one won't pick this one because he's never been to a Casino. You see, Blackjack is a game of skill and if you play it right, you can win a lot in the long run. And you don’t necessarily need to deal with the intricacies of card counting or other advanced strategies to make it. Do make sure that you play the right variants, though. Like Blackjack Surrender. Always wanted to try your luck at Blackjack? Then, play it for free or with a bonus - the choice is yours! Blackjack Surrender is a variant of Blackjack that adds a surrender option to the base game. This lets you quit a hand when you get a lousy pair and allows you to get half of your bet back. If you’ve been playing Blackjack before, you know how it feels to get a sh*tty pair to start with. It’s difficult to decide whether to stand or hit because both options seem equally bad. That’s where Blackjack Surrender comes in handy. You get a hard 16. The dealer has an Ace, a 10, or a 9. The other players at the table (if you play Multi-hand version of Blackjack or at a land-based Casino) already got some small value cards. Your chances to come out of the hand alive depend on luck and on the number of decks used in the shoe. But you’re less likely to make a 21 or another decent hand with your initial pair. That's when Blackjack Surrender helps you. If you surrender your hand, you don't go bust - and you don't need to stand with a hand that has little chances of winning. Instead, you will get a half of your wager back. Okay, so the surrender option seems nice, right? And how does playing Blackjack Surrender work? The main rule is, the surrender option is only available as your first move after getting the cards. You’re dealt the cards. You see one card of the dealer and the cards of other Blackjack players. You wait for your turn and make your move. If you take it, the round is over for you. If not, the rest of the gameplay is the same as in the classic Blackjack. The difference between them is also pretty straightforward. Early Surrender means that you can use the surrender option after the dealer gets a 10 or shows an Ace as the open (face up) card AND before the dealer checks his/her hole (face down) card. While Surrender Blackjack is rare already, the Early Blackjack option is even rarer. 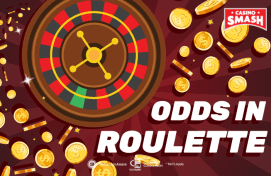 Most online and brick-and-mortar Casinos put in place only the Late Surrender option. Late Surrender means that even if the dealer has a 10 or an Ace, you can only Surrender after he/she checks the hole card. If they have a Blackjack, you lose before making any moves, not even the surrender one. There’s a basic strategy for Blackjack to know when it’s better to hit, stand, split, or double down. And surely there’s also a strategy for Blackjack Surrender. It adds the options when you should use the surrender. A common mistake is surrendering too often. If the hand seems bad, the outcomes of hitting may not always be unlucky. Surrender only when the chances to win with the hand are low - 25 percent or less. A quick guide when to use Surrender in Blackjack is described below. Now you know the rules and the basic Blackjack Surrender strategy. Your next logical question should be where to practise and play this game online. If you haven’t played Blackjack Surrender before, don’t dive head first into the game. Especially since you can play the game for free on the same platform that you can use later for playing for real money.